Any opinions on Aguila 22 cal std velocity? My local gun shop has plenty. Buy 100 rds and try'em in your gun. 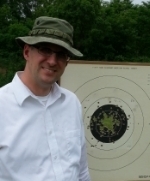 I had some older Aguila and it was not as accurate as CCI std vel or Eley target. the Aquila pistol or rifle match is a much better round and generally runs the same $$ as CCI std. My experience with it was that it was reasonably accurate (I was pretty new to the game when I shot it) but that it was dirty. I had no feed issues or any other malfunctions. I found Eley club to be more accurate, but Aguilla rifle match was softer shooting and not much off on accuracy. Thank you all for the help. The other brands mentioned, CCI and Eley are hard to come by in my area. What are you paying? eley club is accurate but is twice the price of Aguila SV now and back before obamagedion we bought iit for 220.00 a case shipped. Today's price at Sportsman's Guide has Eley Club at $6.93/50 and Aguila Pistol Match $52.54/500. Aprilian wrote: Today's price at Sportsman's Guide has Eley Club at $6.93/50 and Aguila Pistol Match $52.54/500. Club has been in the 7.00 range for many years in many places, Cabela's gets 8 something now days so that's cheap for club and over priced for aguilla , at those prices eley is the better choice for sure. Since I am local to them, I don't need to factor in shipping. Great ammo more accurate than CCI SV and Lapua in my Nelsons. I get one failure about every 1500 rounds. it's close... .. I ran some in my Nelson tonight and it ran fine other than a couple of failures to feed.. slide didn't get back enough... I normally run a 9lb spring in the gun but will try a 8 lb and see if that makes it 100%. I usually run SK std plus or SK pistol match and they run 100%. the Aguila pistol match shot very very well though... very dry ammo but most is compared to the SK stuff. Aguila SV is good, I used to use it as practice ammo in smallbore, for pistol it is plenty accurate. Rifle match or pistol match are both much better in quality and worth the little bit of extra cost. Overall, Aguila .22 ammo is good, for the price it's excellent. I opened my seventh case of Aguila .22 ammo last month. I was having trouble with my AA conversion and Aguila 22 Super Extra std velocity ammo with the second round getting jammed between the breech face and top of the chamber. The only reliable ammo has been CCI and Eley Club. After reading posts by Jerry, KC, and Jon about lighter magazine springs I decided to cut the AA magazine springs thinking that they were too stiff causing too much friction. After cutting 7 coils off the pistol functions perfectly with Aguila. Wes Lorenz wrote: I was having trouble with my AA conversion and Aguila 22 Super Extra std velocity ammo with the second round getting jammed between the breech face and top of the chamber. The only reliable ammo has been CCI and Eley Club. Did you try using a high mag catch? Or lower the recoil spring weight? Yes, already have an EGW elevated mag catch and recoil spring assortment to match to ammo in use. The Nelson mag springs are lighter than the AA mag springs from awhile ago. Passing on a lesson learned, it just worked for me - YMMV. Now that you are in Bullseye heaven - how many State matches can you attend now?